Jaguar Cars has unveiled an exciting and unique styling concept at the international driving debut of the new Jaguar XF Sportbrake. 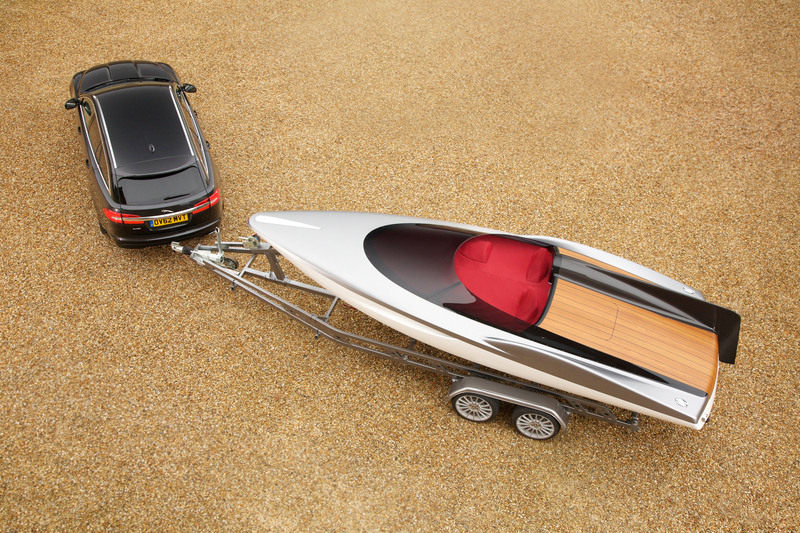 ‘The Concept Speedboat by Jaguar Cars’ showcases the design DNA of the British premium luxury and sports car manufacturer in an unexpected and spectacular package. 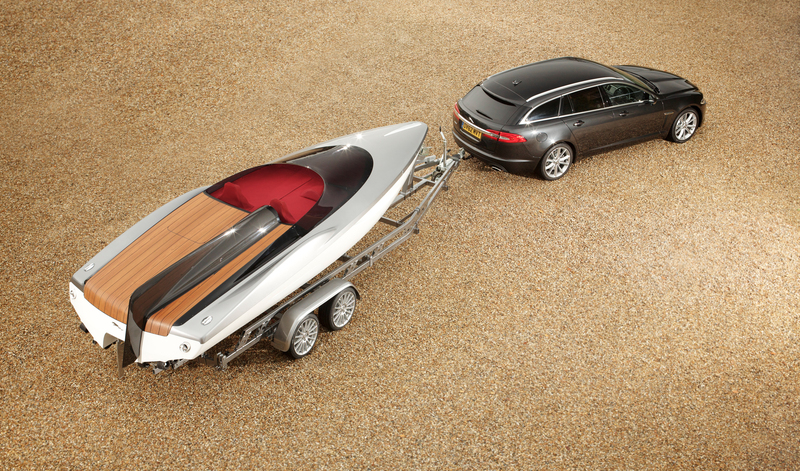 Jaguar Director of Design, Ian Callum is at the forefront of the Concept Speedboat. Callum explained: “We recognise that both our existing and future customers enjoy diverse and active lifestyles. 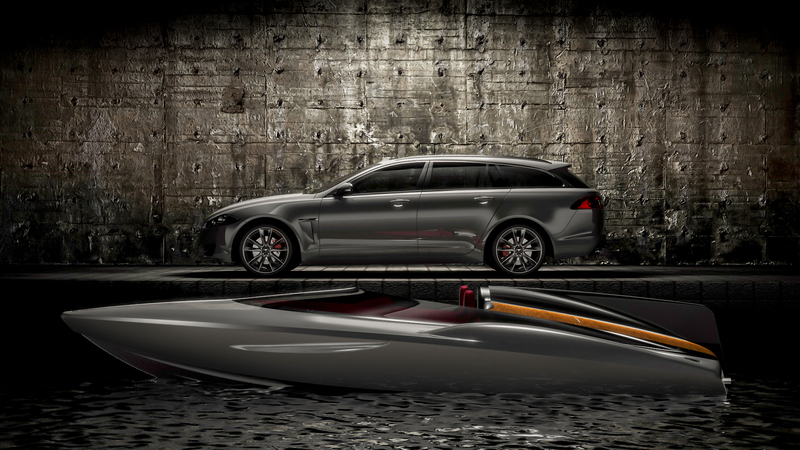 With the launch of the new Jaguar XF Sportbrake, we had an opportunity to create a vision of how our design philosophy might be applied to an alternative product, in which speed and beauty are also priorities. 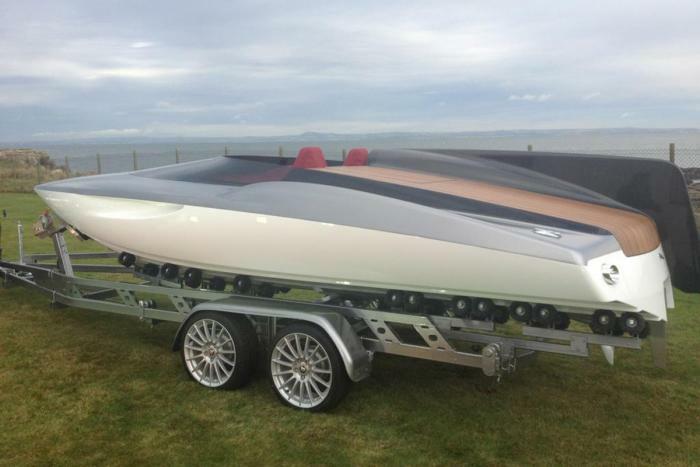 Jaguar Cars consulted with a yacht design specialist* and a bespoke design project management company** throughout the development of the Concept Speedboat. 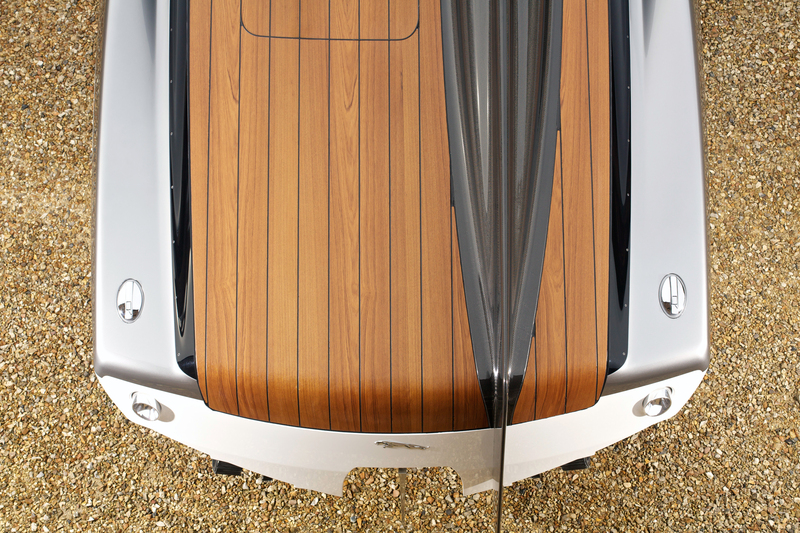 The Concept Speedboat has a gel coat fibreglass hull finished on top with a natural teak decking. This is split by a carbon fibre fin, inspired by the iconic Jaguar D-Type. The front of the boat flows seamlessly into the screen and the red 2+1 cabin follows the sporting character of Jaguar cars. Jaguar Cars’ heritage is also subtly recognised with fuel filler caps inspired by the Series 1 XJ. 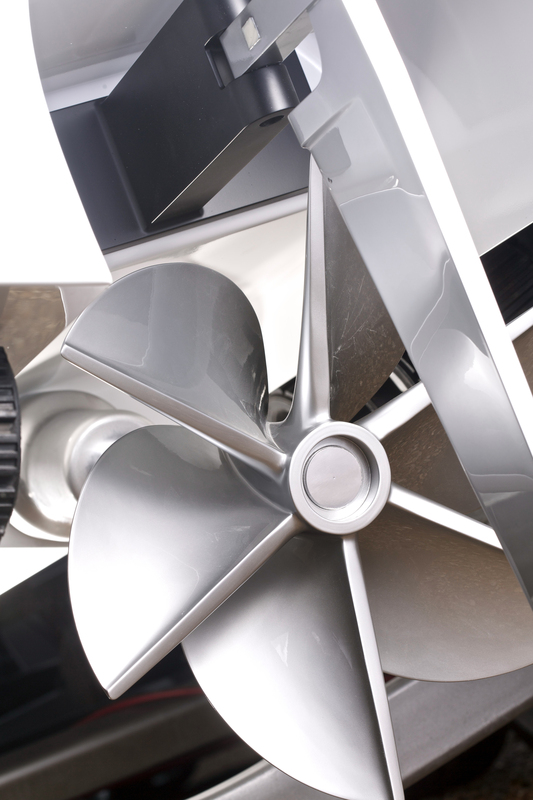 A polished aluminium propeller and pop-up mooring post imitates how the boat could be powered and docked respectively. 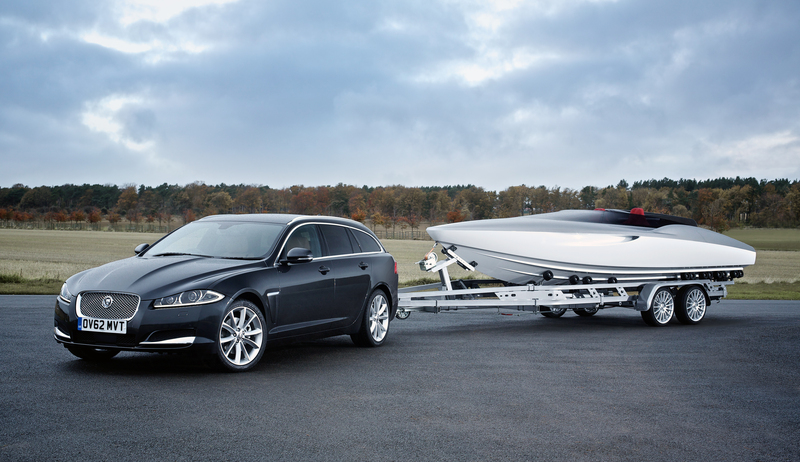 The new XF Sportbrake is the most versatile derivative of the award winning Jaguar XF to date. 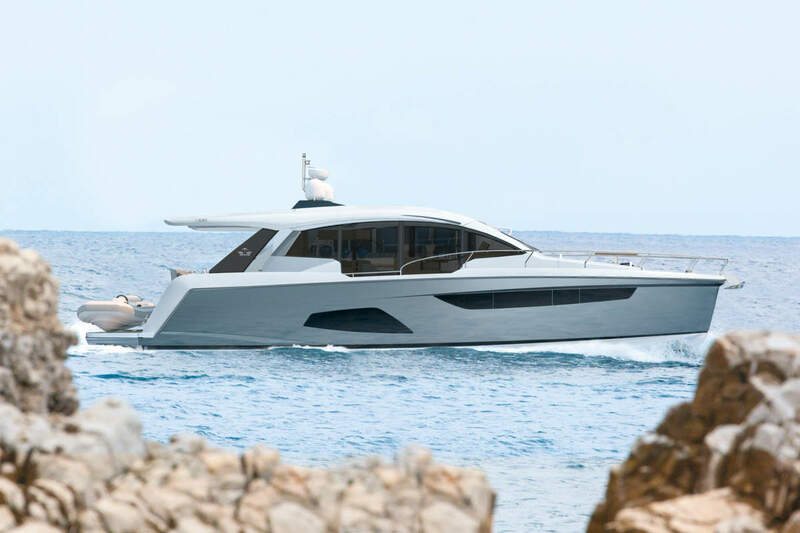 It represents a compelling combination of muscular yet elegant design, dynamic ability, contemporary interior luxury and, with a load-space capacity of up to 1675 litres, a no-compromise approach to practicality. Matching the XF saloon for aerodynamics, torsional stiffness and dynamic handling ability, it is powered exclusively by Jaguar’s range of powerful, refined and efficient diesel engines. The rear wheels are driven via an eight-speed automatic gearbox. The 2.2-litre engine is fitted with Jaguar’s Intelligent Stop-Start system, making it the company’s most efficient powertrain to date, while the 3.0-litre twin-turbo V6 is available in two states of tune, with 275PS in the range-topping Diesel S. The XF Sportbrake goes on sale in UK and throughout Europe in November. Great article and really like the thought of Jaguar trying their hand at sports boats, porsche have tried, mercedes have tried and even audi, could be new partnerships created here for business for sure.